Intense tonal sound often radiates from flows around a trailing edge with an upstream kink shape such as found in automotive body. To clarify the conditions for the acoustic radiation, sound pressure and flow fields are measured in wind tunnel experiments. As a result, intense acoustic radiation occurs when both flow separation around a kink shape and reattachment near the trailing edge occur. Moreover, to clarify fluid-acoustic interactions, which are related with the radiation, the method of coherent output power (COP) was utilized based on coherence analysis. This method identified the positions for generation of vortices and acoustic source. The study described in this paper aim to further enhance the estimation accuracy of the suspension stroke velocity using the vertical acceleration sensor on the sprung mass. The effectiveness has been already confirmed that the observer model is included the nonlinear characteristic of the semi-active damper and the observer feedback gain is scheduled by previous studies. However, the observer can not estimate high frequency over the body resonance point. To solve this problem, in this paper the observer is also included the hysteresis of the damping force. The effectiveness is verified by carrying out simulations and experiments. To examine the feasibility of performance improvement by highly flexible fuel injection, a series of experiments were performed using a single-cylinder diesel engine with a dual injector system which includes two sets of common-rail injection systems. This system enables variable injection rate for each injection pulse and a wide-range dwell between injection pulses, i.e. even negative injection dwell can be performed. Experiments with multi-stage injection were conducted with various injection pressures, injection timings, and injection quantities. The results show that switching injector for pilot and main injections reduces smoke emission, and a higher pilot injection pressure increases CO emission without a reduction of smoke emission, while a higher main injection pressure reduces smoke emission with no increase in CO emission. Split-main injection with zero injection dwell increases thermal efficiency under high injection pressure condition. However, negative injection dwell markedly increases smoke emission owing to the spray-to-spray interaction. This paper presents the fundamental study of the method for keeping drivers awake at the wheel through conversation. We focused on the structure of a conversation and applied Verbal Response Modes (VRM) for analyzing the conversations, which were made between awake and/or drowsy drivers and an operator. The results suggested that the number of drivers’ disclosure and the number of operator’s reflection during a block of conversation are the features of the VRM balance, which is factored into an effective conversation for awakening drivers. We developed the thin-film pressure sensor which was improved durability by forming a film with DLC(Diamond-Like Carbon) or TiN(Titanium Nitride). Several sensors were put on the surface of a drive pulley in the pushing metal belt type of CVT, and then the contact and slip behavior between the pulley and elements which the belt consisted of were analyzed. It became possible to quantify the size of active arc area where the slip was generated and the relation of the slip speed versus the clamping force and the CVT transmitting torque. 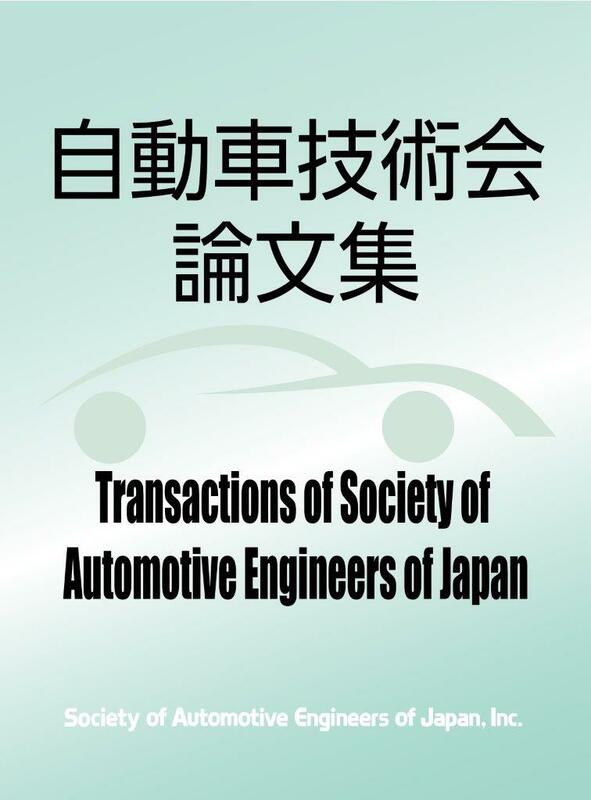 Edited and published by : Society of Automotive Engineers of Japan, Inc.